It is well known at Boys & Girls Clubs that the future of our communities rest in the hands our youth. It is their health and wellbeing that will determine the future health and wellbeing of our communities. By investing in young people and giving them a sense of place and tradition, a community ensures that it will have bright and capable future leaders. 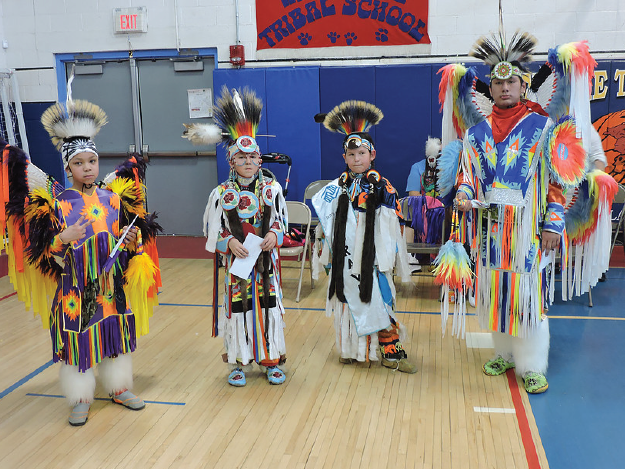 The Woodland Boys & Girls Club of Neopit, Wisconsin was recently awarded the Native Youth and Culture Fund (NYCF), a grant designed to enhance culture and language awareness, and promote youth empowerment, leadership, and community building. Woodland seeks to “Build Brighter Futures through Language & Culture” by incorporating the Menominee language into their Club programs, teaching traditional songs and dances, and educating youth on local hunting, fishing and gathering practices. The ultimate goal is to aid youth in developing their mind, physical body, and spirit. The teaching of language and culture in particular has been seen to boost the self-esteem of youth, and promote positive identity formation, in addition to building their resiliency to negative behaviors.